Home/ Looking for Top Entertainment Apps? Here are Two! How many times have you reached for your smartphone looking for something to listen or watch when you had nothing better to do? This helps you not only kill boredom but also be up-to-date with the latest news, stream fun and useful video or listen to music – whatever entertains you best. There are many apps available and choosing the best ones is a difficult task, primarily because everyone has personal preferences about how they want to spend their time online. Here are two entertainment apps we think are the best and most useful entertainment out there. Netflix is the leader when it comes to subscription services offering countless TV shows and movies on the device of your choice, and their mobile application brings you the best experience anytime and anywhere. Downloading the app is free and so is the first month of service. Then you can choose one of the three options available: basic, standard and premium and pay the appropriate monthly fee to continue using it (if you decide to cancel your subscription you can do it anytime, free of charge). 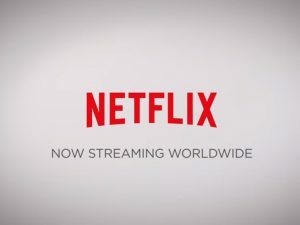 Netflix offers the possibility of streaming the same program on different devices, so you can start watching a movie on your phone, and continue on your computer. You have a collection of popular movies and TV shows to choose from, as well as Netflix originals, and the list is constantly changing and growing. These days you can stream The Shining (1980), Seven (1995), Fear and Loathing in Las Vegas (1998), Atonement (2007), Burn After Reading (2008), Boyhood (2014), Coco (2017), To All the Boys I Loved Before (2018), to name just a few movies. When it comes to TV shows, a few of the all-time favorites include Friends (1994-2004), The Office (2005-2013), Mad Men (2007-2015), Breaking Bad (2008-2013), Black Mirror (2011-), Mindhunter (2017-), 13 Reasons Why (2017-), etc. YouTube certainly doesn’t need an elaborate introduction – it is the most used and entertaining app on the Internet for sure. 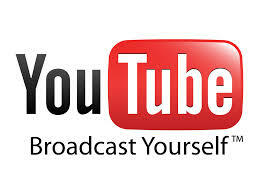 You can listen to music, watch movie clips, short TV shows, video game reviews, and so much more. There are more than a billion users, which equals one-third of the entire planet, and more than 100 hours of video material is uploaded every minute, so 30 million visitors watch an average of 5 billion videos day. You can get engaged and post comments on watched videos, or even open your own YouTube channel, add interesting and unique content, gather subscribers and make a living out of it. One of the most popular YouTubers, Felix Arvid Ulf Kjellberg, aka PewDiePie, started making videos of his commentaries of horror games, branched out in time and now makes $12 million a year.